Trudy B. Haney, 74, passed away on Monday, April 15, 2019 at home in Kewanna, IN. She was born in Kewanna to the late Omer and Mildred Troutman. She graduated from Kewanna High School and was a hairstylist for 35 years. Trudy enjoyed spending time with her family and traveling to her grandchildren’s sporting events. Surviving is her son, Rob Pinder; step-children, Lisa Booth, Lynelle (Phil “Yogi”) Miller, and Leigh Ann (Rick); 13 grandchildren; many great-grandchildren; siblings, Terry (Darlene Masunas) and Tim Troutman; and several nieces and nephews. 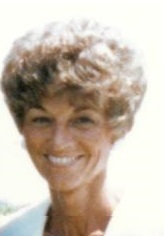 Trudy was preceded in death by her husband, Fred D. Haney Jr., step-mother, Grace Troutman and step-brother, Jim Cohagan. Funeral Services will be at 11:00 a.m. Saturday, April 20, 2019 at Harrison - Metzger & Rans Funeral Home, Kewanna Chapel with an hour of calling prior to the service. Calling is from 4:00 pm – 8:00 pm Friday, April 19, 2019 at Harrison – Metzger & Rans Funeral Homes in Kewanna. Burial will be in Barnett Cemetery, Kewanna, IN. Memorial contributions may be made to donor’s choice.